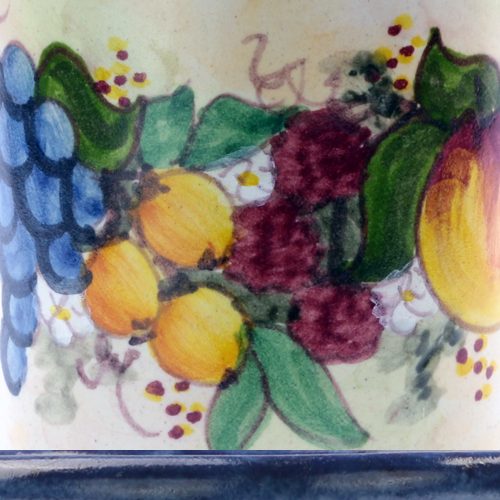 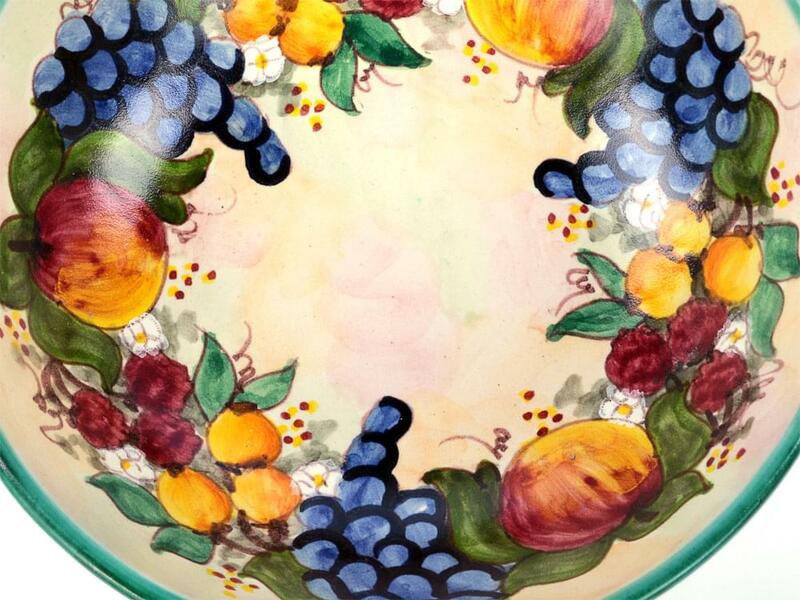 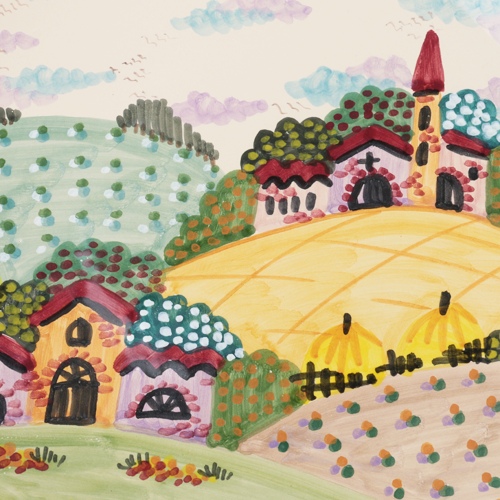 The Fruit Harvest design on this large bowl is hand painted and depicts the glowing warmth of the colours of late summer in Italy when the trees are laden with fruit. 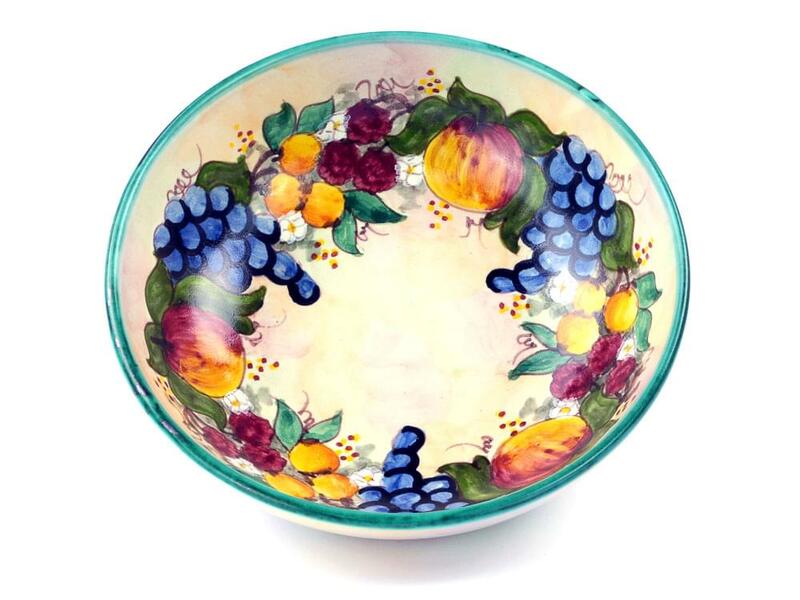 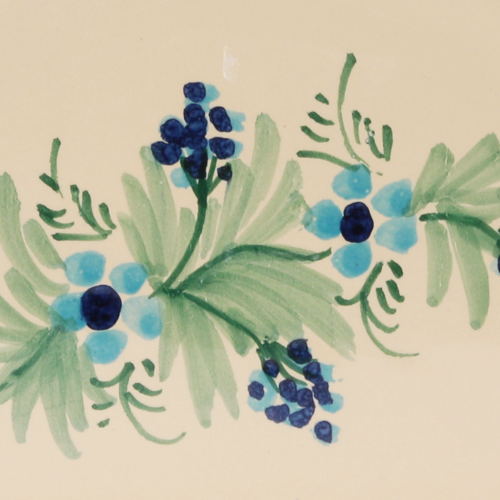 The edges of the bowl are decorated in a subtle green which reflects the green in the pattern. 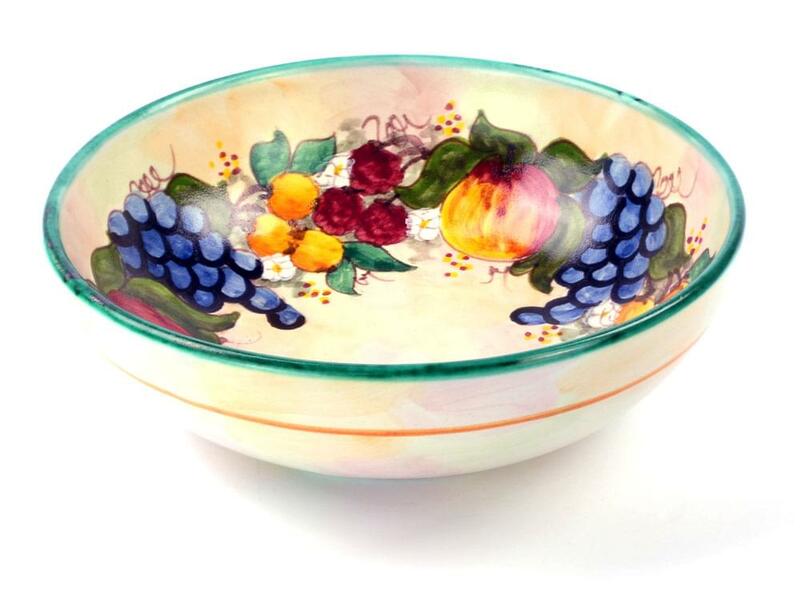 It is the perfect bowl for serving either warm or cold food for your large, family alfresco lunch. 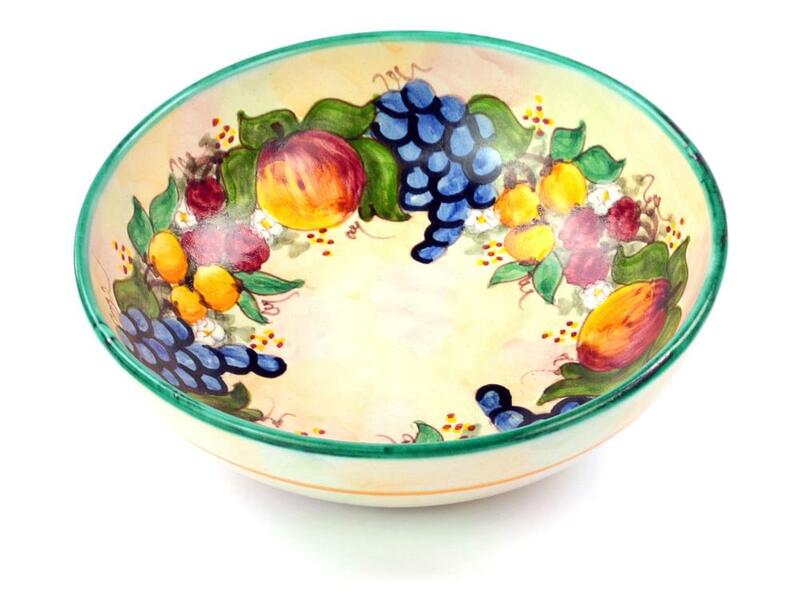 The bowl is so pretty it could be used as an ornament in any room of the house and also makes an ideal fruit bowl. These beautiful ceramics are hand painted in the heart of southern Italy, consequently, pattern, colour and size may vary slightly. 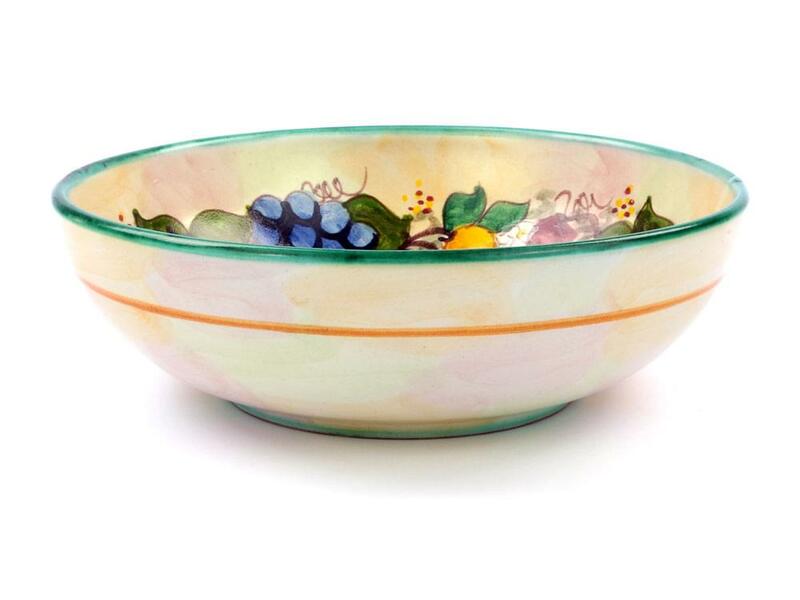 They are not suitable for the dishwasher and need to be washed in warm, soapy water, and then rinsed well.